Tilray shares are falling as the Canadian cannabis company announces it will sell $400 million worth of convertible senior notes. 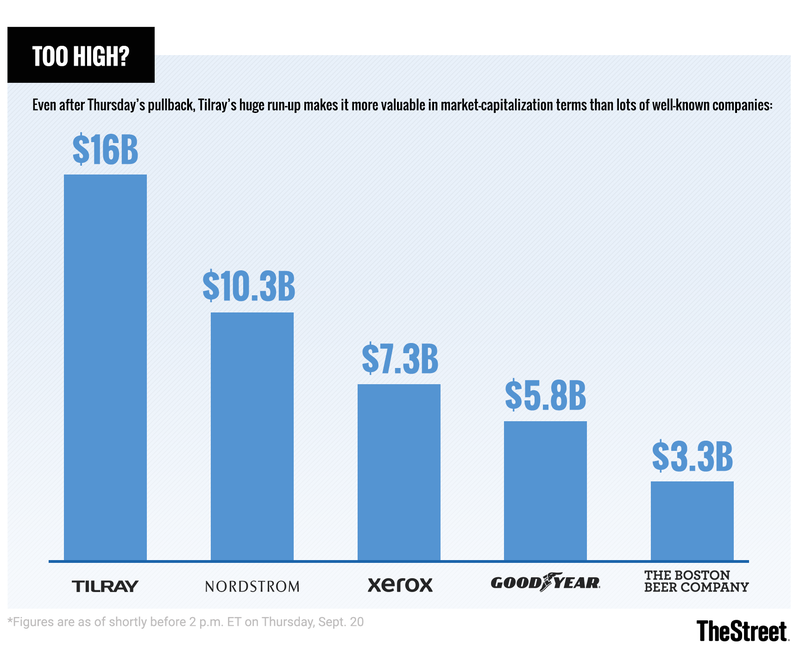 Tilray Inc. (TLRY needs some more green to keep growing, and investors were feeling a bit nervous about that on Thursday, Oct. 4. The Canadian cannabis company announced that it will offer $400 million worth of convertible senior notes payable 2023 in a debt sale that will fund the company's acquisitions and daily operations. The money also will be used to repay a $9.1 million mortgage on a production facility in British Columbia. Tilray shares are down 5.2% in morning trading on the news after gaining more than 13% in Wednesday's session. The notes will be sold exclusively in Canada in a private placement to "qualified institutional buyers" and will not be offered or sold in the U.S.
Tilray has been the hottest cannabis stock on the market since its debut in late August, rising well more than 400% over the past six weeks.